Utility Carports are the logical solution when you are looking for that perfect storage space. 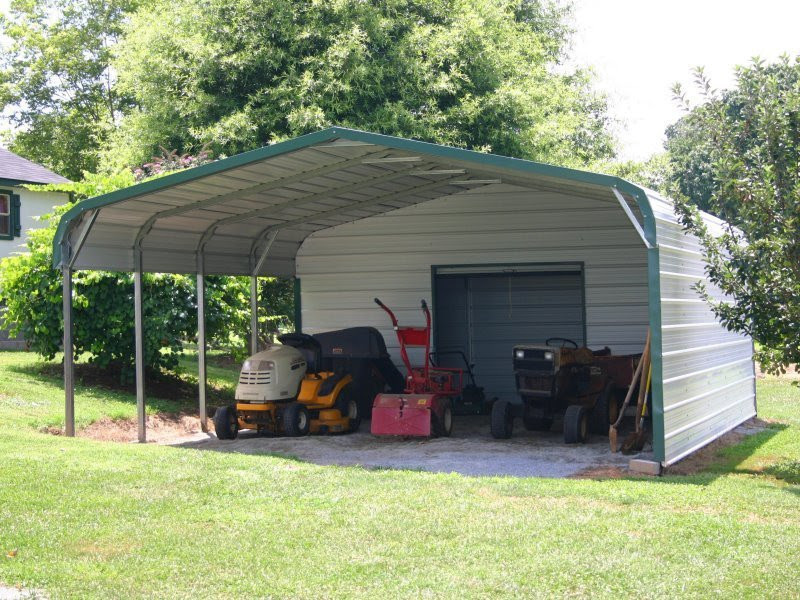 While their traditional use is for things like extra vehicles, or lawn and gardening equipment, our Utility Carports uses are endless. Today’s homeowners need a residence that can readily change according to its owner’s needs. A utility carport offers the perfect solution to the homeowner who needs their house to grow with them. 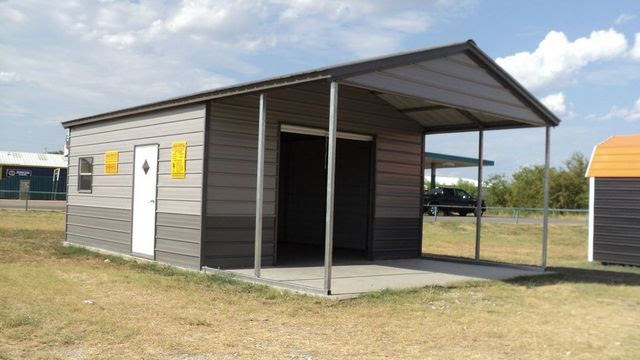 Whether a traditional space to protect vehicles such as RVs, golf carts, and ATVs, to an outdoor studio or picnic area or even a building like utility carport that combines protection from elements with the security of a closed space, Better Metal Buildings has all that you need. An outdoor entertainment center, providing a protected area to picnic, bar-be-que, soak in a hot tub, and more! 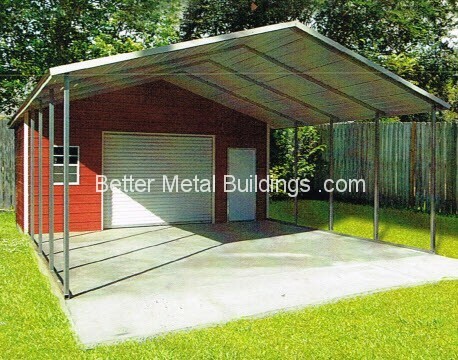 Perhaps you wish to combine the convenience of a metal carport with the security of a locked shed – look no further! 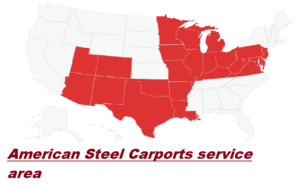 Our catalog of utility carports or a carport with storage shed offers you dozens of customizable choices. Perhaps you restore cars, and need a secure place for tools., or a location to run music from for your yoga class. 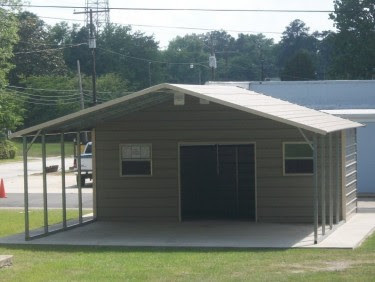 Our metal utility carports combine the flexibility of a carport, and the security of a storage shed in one! 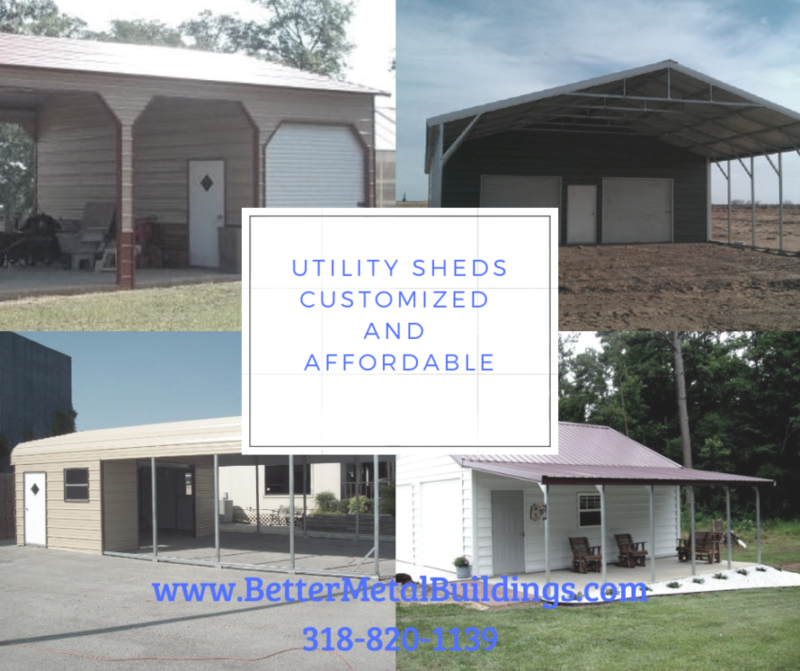 At Better Metal Buildings, we provide you with the following options, ensuring you of a perfect fit for your possessions and your needs. 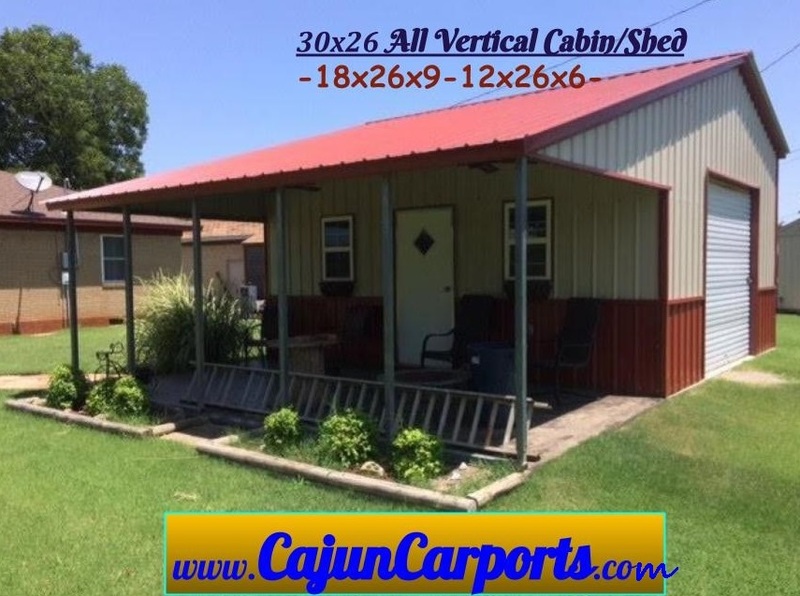 We offer you 3 custom roof options for utility carports to fit your needs, ranging from regular metal roofs, stylish a-frames, to our top of the line vertical roofs – and we also offer you the choice of custom sizes, tailoring your utility carport to be the perfect fit for your needs. 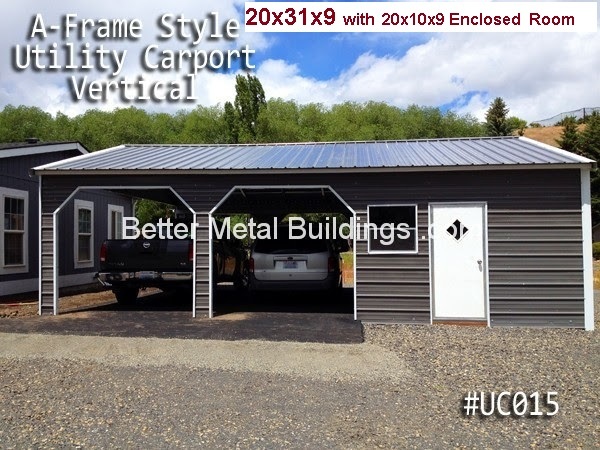 Whether you choose 12-gauge or 14-gauge steel framing for your new utility carport, both materials are strong and tested to withstand the elements – and our 12-gauge steel framing comes with a 20-year rust warranty. 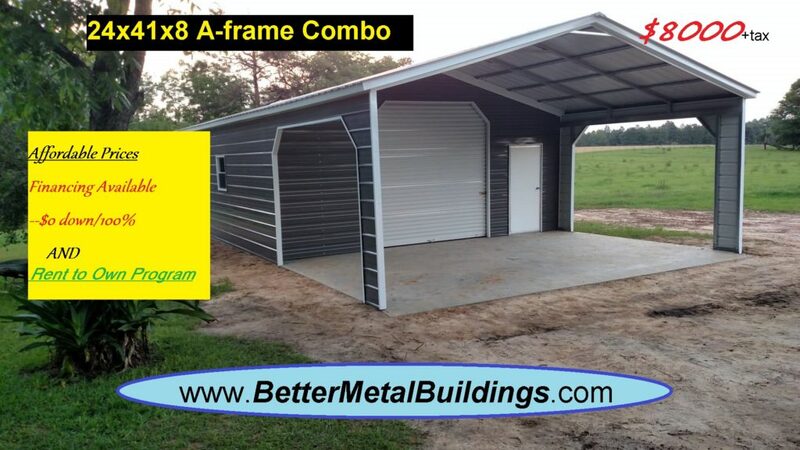 With our wide selection of options such as gable ends and side panels, Better Metal Buildings is here to help you to build your perfect addition. But the applications don’t stop there. Utility Carports go beyond basic storage. Want the perfect man-cave? 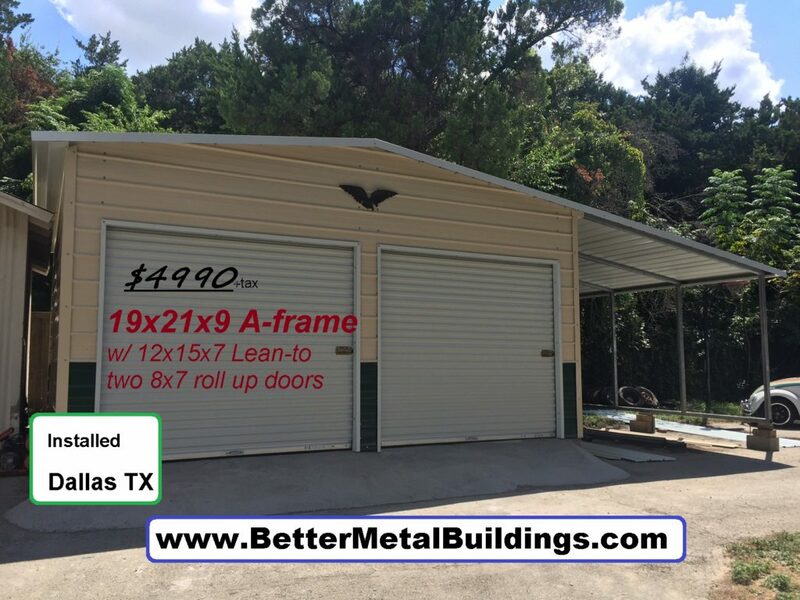 You can trick out your metal utility carport to fulfill your wildest dreams. Do you need a studio, for painting, photography, or sewing? 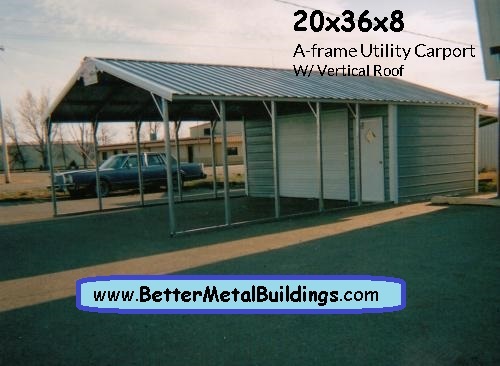 Look no further than a custom utility carport from Better Metal Buildings. Are you into fitness? 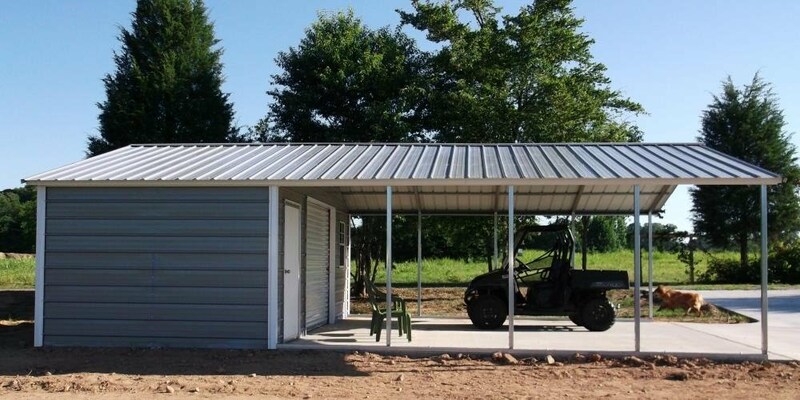 With a stand-alone Utility Carport, you can create the ultimate gym or yoga retreat – the perfect place to burn off the stress after a long day at work. 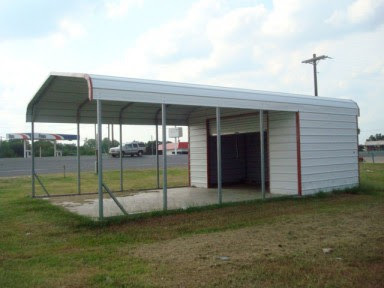 Our utility carports offer side entry for easy access to the enclosed storage units built in your carports. 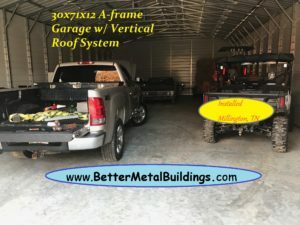 Better Metal Buildings has a large selection of customizable side entry carports and garages with utility-style buildings to provide covered and open space in the same steel building unit. 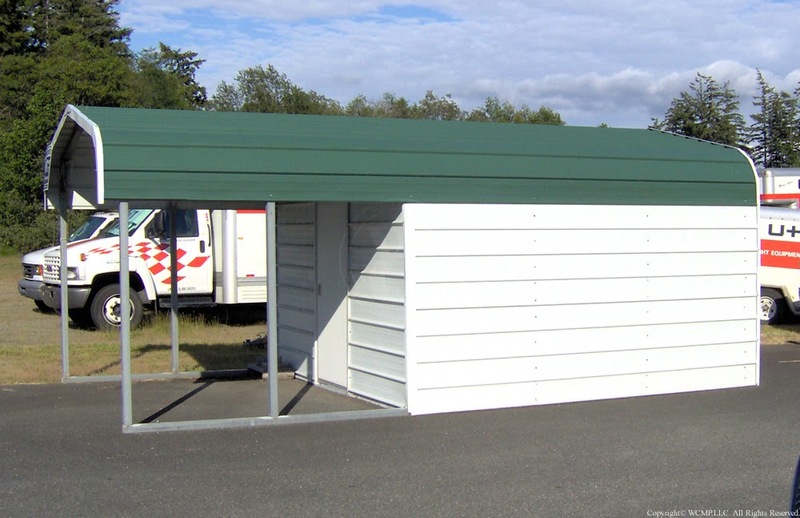 Most side entry utility car ports have storage unit built at the end of the metal storage building, however, we offer complete customization so that you can add freestanding lean-tos or a storage unit on one of the lean-tos too. 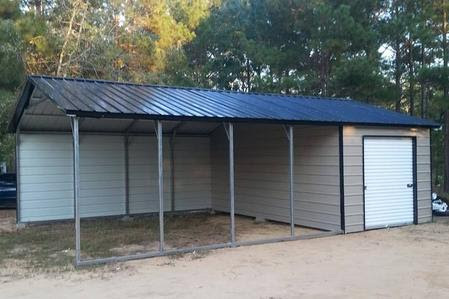 Instead of renting a mini-storage unit or purchasing/building a backyard storage barn, consider building a utility enclosure into your metal carport or steel canopy. 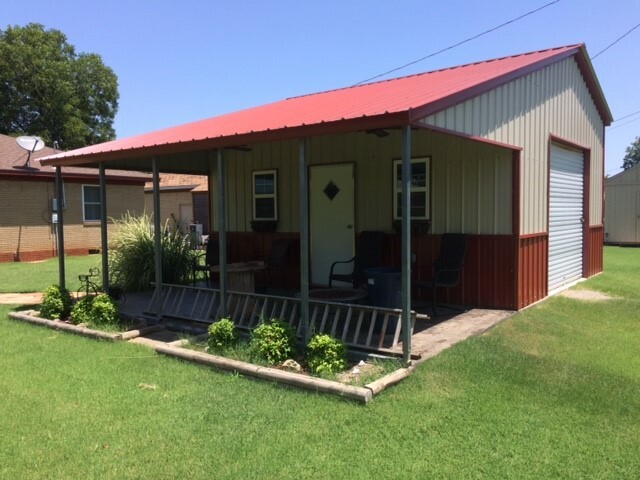 What are the uses of a side entry utility carport? 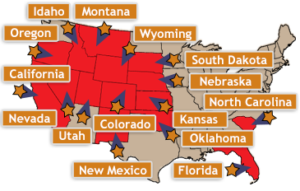 Our customers that have boat carports or equipment storage units utilize the storage part for fishing equipment, garden equipment, ski equipment, and for general purpose items to expand their house. 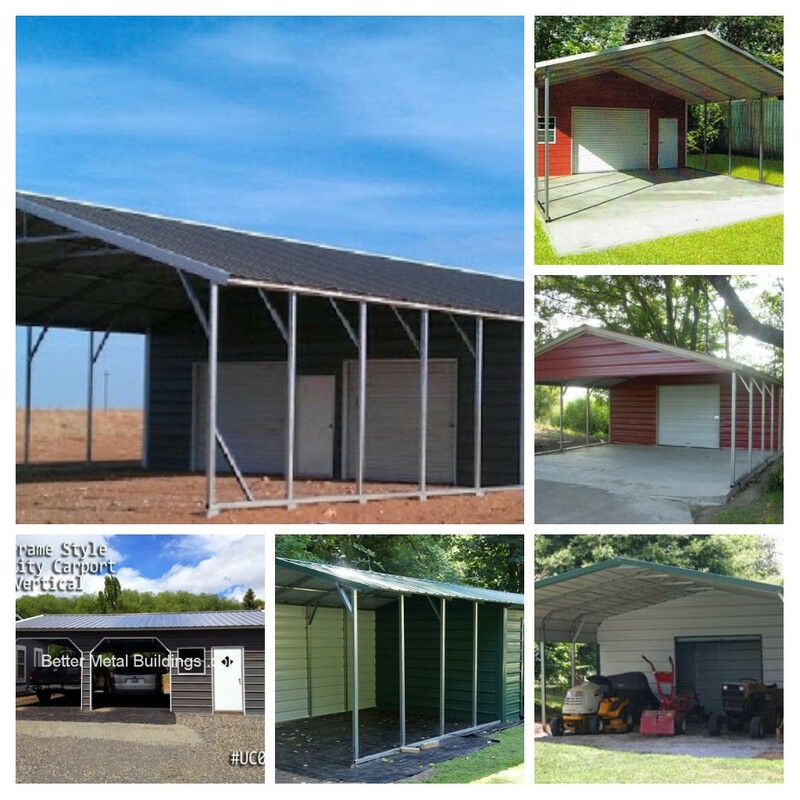 Some of our customers use the carports with storage units to shelter their cars, trucks, or other vehicles and use the utility storage to store motorcycles, ATVs, indoor games, lawn movers, shoe racks, used furniture, and golf-carts. These combo carports can also be used as carport shelters and storage lawn and garden equipment. 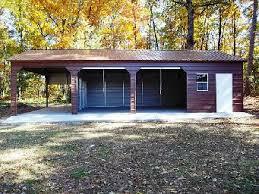 We have constructed fully enclosed metal workshops and garages with a porch on the end of the unit too. 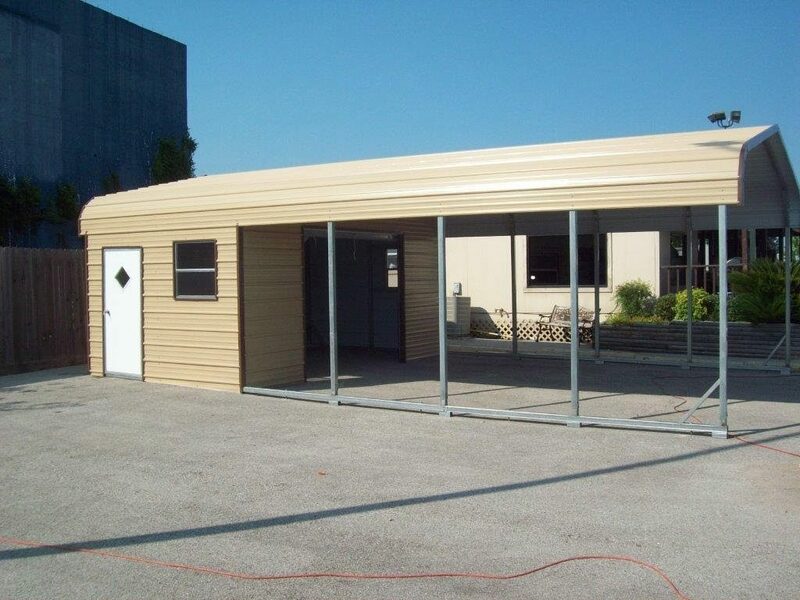 We can configure entries on the end or sides of the carports with storage buildings. 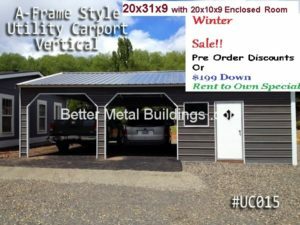 However, you wish to use your utility carport from Better Metal Buildings, our skilled customer team members can help you choose from our vast array of designs, features, and colors, helping you to create the perfect solution for your utility carport needs. Please note – Many local rules require building permit and certification for occupied structures. 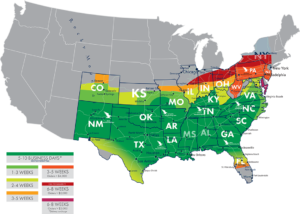 We can guide you through the process, just let our team member know you plan to have the building certified.